1) "Willy Lott's House is situated on the edge of the river, close to Flatford Mill. 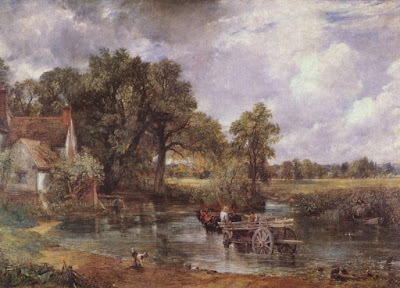 It is a principal object in many of Constable's pictures; but the most exact view of it occurs in the one engraved for the 'English Landscape,' with the title of 'A Mill Stream,' and is taken from the front of the mill, the wheel of which occasions the ripple seen on the surface of the water. Willy Lott, its possessor, was born in it; and it is said, has passed more than eighty years without having spent four whole days away from it." Memoirs of the Life of John Constable Esq. R.A. Composed Chiefly of his Letters by C. R. Leslie, R.A. Second Edition (London: Longman, Brown, Green, and Longmans, 1845) p. 49. 2) "William Lott (1761 - 1849) was a farmer who worked the 39 acre Gibeon's Farm. At first he was a tenant farmer. Then in 1825 he bought the farm. He lived in the farmhouse, which has come to be called 'Willy Lott's House'. William Lott remained a bachelor and may have had difficulties learning because his elder brother, John, did his accounts and John Constable's sister Mary, living in Flatford Millhouse, wrote a letter to her brother dated 1 March 1825 saying Mr. Lott 'sometimes shed tears in his old age that he was left untaught by those who had charge of him in his youth'. Willy Lott rarely left the parish and was buried in the local churchyard." Flatford: Constable Country by Ian St. John (Colchester: Suffolk Walker, 2000) p. 6. There should really be Lottites as well as Luddites. 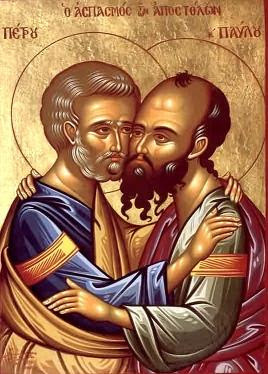 In curmudgeon iconography Lott and Ludd would be pictured locked in a fraternal embrace like Peter and Paul, the latter trampling on some wrecked piece of machinery while Lott, the more stolid of the two, stands rooted-fast, having no truck with the world beyond his boundary markers. Since travel is increasingly coming to be seen as transgression (with its attendant sinful emissions) perhaps a man whose carbon footprint was no bigger than his muddy boots deserves some belated recognition. The developed world would be a better place with a few more hermit crabs like Willy Lott (say a couple of hundred million).